First we would like to thank all of our loyal customers. To date, we have given away thousands of dollars worth of food and gifts through our loyalty program. The spring was definitely filled with Royal news, the arrival of the new baby, Louis, and the wedding of the year of Prince Harry and Meghan Markle. We know that many of you held special events to celebrate with the Royal couple. And now we find ourselves in mid summer. A couple of exciting things we would like to share with you. We are looking for some part-time help (job details can be found at the bottom of this email). If you know anyone who might qualify or if you, yourself, are looking for some work, please review the details. Also, we will be introducing a weekly Facebook special in August. If you’re not one of our many Facebook customers, why not join the group. Again, thank you from our family to yours for your loyalty. 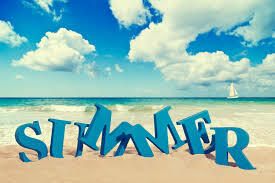 We hope you have a wonderful summer filled with fun memories spent with family and friends. We are looking for part-time help at our London locations. Hours will be between 9 -24 per week and during seasonal times will increase to include work during the week/weekends. This entry was posted in Uncategorized by A Taste of Britain. Bookmark the permalink.